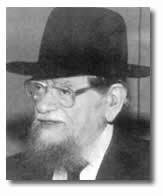 Although there are those who refuse to accept the teachings of our Rabbis and will continue to support the Zionist state, there are also many who are totally unaware of the history of Zionism and its contradiction to the beliefs of Torah-True Jews. We know the truth. The truth is that Zionism is a curse, and that's the way it is. Zionism is murder! And that's what it really is, because it is true! Who threw the Jews into the ocean when they wanted to travel to Eretz Yisroel in 1941? Who sank the boat (called the 'Patria') with about 1000 Jews on it? Who? The Nazis? Zionists did it! Yes, the Zionists! What is that? Is it not murder? Murderers!! Because of Zionism, one is allowed to kill Jews? Didn't these murderers say that the Jews of Europe are the "sacrifices" which we have to bring to have a Jewish "state" in Eretz Yisroel (G-d forbid)? Didn't they say this? Don't they have printed black and white statements which everybody can read? Didn't this man with the name, "Yitzchok Greenbaum" say in Warsaw that all religious Jews should be thrown into the ocean? And all this because of Zionism! And he wasn't ashamed of these words! I ask you: Is this right? Is this being nice? Is this grace? This is MURDER! Without any excuse, it is murder! G-d comes and punishes us, and He says to us that if we brought up in our midst such and Esau - one who is against Torah, against religion, against everything a Jew is - then we suggest a hint to the world, and it calls us Racists, Murderers, Terrorists! We are called murderers, who kill women and children. The Gentiles say this and it makes an impression on us, and we scream. How terrible! How can they speak this way about the Jewish people?